Rat Poison Doesn't Just Kill Rats, It Kills Dogs Too! Beware, Rat Poison Kills Dogs Too! Rat poison is lethal to dogs! Sorry to be so blunt, but it is. Learn how to tell if your Cocker Spaniel has accidentally eaten rodent poison and what emergency steps you can take to help save your best friend's life. Why Is Rat Poison So Lethal To Dogs? This poison is lethal to dogs (and other pets) because it contains many dangerous chemicals, including strychnine, warfarin, sodium fluroacetate, bromethalin, zinc phosphide, and arsenic. Rat poison comes in many forms; blocks, pellets, liquid or powder and is usually an (attractive) bright green, turquoise, or blue color. The manufacturers make it taste good to encourage rodents to eat it. However, this is a big problem for our pets because our hungry-nosed Spaniels will also want to eat it if they're unlucky enough to accidentally find it. Bromadiolone and brodifacoum are highly toxic rat poisons which thin the blood and stop the clotting process. If, after accidentally eating an anti-coagulant, your Cocker is injured (internally) it's possible he could bleed to death because his blood will not clot. Even just a little scratch on his skin could cause him problems. The first visible signs of this type of poisoning are bruising of the skin, blood in your dog's pee or poop and bleeding from the nose or gums. Other symptoms are anemia, weakness, depression, and anorexia. Anticoagulants is the most common form of dog poisoning seen by vets. Cholecalciferol raises calcium to dangerous levels causing symptoms such as depression, anorexia, excessive thirst, and can lead to heart problems, renal failure and death. Bromethalin affects the brain and attacks the central nervous system. It increases sodium and water levels in the bodies cells and causes them to swell and die. Symptoms show as loss of coordination, excitability, muscle tremors, weakness in the back legs, depression, tremors, vomiting, anorexia, seizures and death. Strychnine very quickly affects the nervous system and can cause your dog to become excited, agitated, and confused. It can also cause painful seizures which cause the dog's head to be thrown back involuntarily making it difficult to breathe. If know or even suspect your Cocker has ingested strychnine, it's vital that you call your vet immediately. This is an emergency. He may advise you not to touch your dog, as even the slightest touch can trigger a seizure, and he may want to come directly to you. Not all chemicals and toxins used in rodent poisons have been mentioned here. The same applies to symptoms of rodent poisoning. There are many more depending on which toxin has been ingested. I have listed the most common symptoms simply as a guide. Ingestion of zinc phosphide can affect the nervous system. It can make your dog vomit, cause abdominal pain, aimless running and howling, followed by depression, and convulsions (which may resemble those seen in strychnine poisoning). Zinc poisoning can also cause panting and problems with breathing. Death is usually due to respiratory arrest. Sodium Fluroacetate may also be found in rat poisons. It's extremely potent and can kill fairly quickly. Phosphorus is another toxin used in rat poisons. The first signs of poisoning may be staggering (your dog appears 'drunk'), vomiting, and diarrhea, which may seem to settle down, but will begin again and could include pain in the abdomen and convulsions. Your dog may even go into a coma. 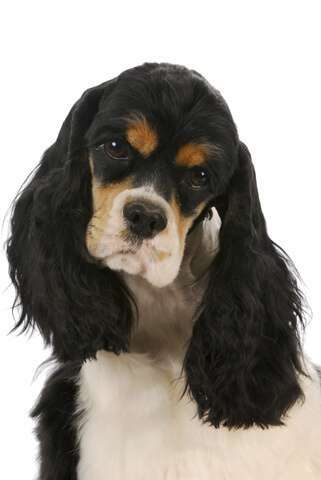 If you suspect your Cocker Spaniel has eaten any form of poison, even though he may not yet be showing signs of poisoning, or signs of being ill, you should contact your vet immediately. If you actually saw your dog eat the poison (and are certain therefore that it's recent) your vet may ask you to induce vomiting, otherwise he will either want you to bring your Cocker to the surgery or he may want to come to you. It would help the vet if you could tell him exactly what your dog ate. If you have the manufacturer's packaging listing the ingredients, and some of the poison left in the bag, all the better. Also, let the vet know how much he ate (if known) and at what time, as well as the symptoms you've witnessed and approximately when they began. Play it safe and call your vet immediately. An early diagnosis could save your dog's life! Learn more. Depending on how advanced the poisoning is, your vet may induce vomiting, give your dog activated charcoal to help stop the toxins being absorbed into his body. He may want to check the blood for clotting times and test for anemia. If an anti-coagulant was swallowed, he may give your dog vitamin K1 to help thicken the blood. He may also feel the need to give a plasma transfusion or, in serious cases, a blood transfusion. Dogs can survive rodent poisoning, depending on how much they ate and how quickly diagnosis and treatment was given. However many don't survive. Please don't let your dog become a sad statistic. Keep all poisons safely locked away from dogs and children.